Mbed has released version 5.7.0 of its operating system for ARM microcontrollers to further simplify the Internet of Things (IoT) and embedded product development with the addition of several new features. 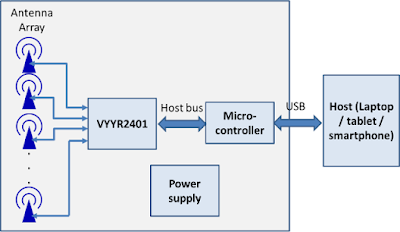 This includes a high-integrity embedded file system, which provides power loss resilient operation and maximises the life of the external memory block device by implementing wear levelling techniques that stop blocks of memory being over-used. The release also includes an open-source mesh networking stack, which is IPv6, 6LoWPAN and one of the only two open-source certified Thread networking stacks. mbed has also added documentation about contributing and using the platform, drivers, RTOS, connectivity and storage APIs, as well as information on the web-based tools. The release also contains many minor fixes and enhancements and brings support for 103 target development boards. At the close of a great year for the embedded market, the Internet of Things and the positioning of companies within that eco-system remain a strong theme, as highlighted by the Mocana deal. But machine learning is increasingly popular, with deals such as the Amazon freeRTOS now giving designers easier access to ML libraries in the cloud. The Q&A on getting started with LPWAN technology such as LoRaWAN has also been of significant interest. You can also see the top stories of the year on the Embedded blog. Following on from the acquisition of Atollic last week, STMicroelectronics has launched a new tool for its STM32 microcontrollers to simplify the development process while making it more secure. The STM32CubeProgrammer (STM32CUBEPROG) upgrade runs on Windows, Linux, or MacOS operating systems to program the on-chip Flash/RAM or external memories using various file formats. 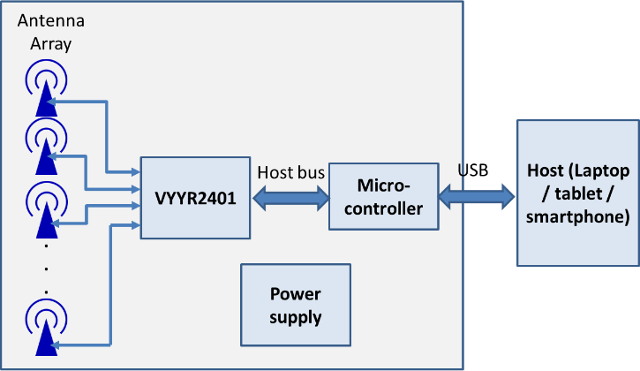 It adds whole-memory or sector erase and programming microcontroller option bytes and users can also generate encrypted files for secure programming (Secure Firmware Install/Update) to authenticate production and protect intellectual property. The tool can be customised and used in standalone mode or integrated and controlled from a custom application. Programming can be done manually or automated using scripts. Rigetti Computing has demonstrated unsupervised machine learning running on a 19-qubit general purpose superconducting quantum processor. This used clustering, a fundamental technique in modern data science with applications from advertising and credit scoring to entity resolution and image segmentation. This was running on its Forest quantum development environment that uses the Quil instruction set. The 19Q processor is now available as a programmable backend in Forest, accessible via an API. A few lines of Python initializes a connection to the quantum processor unit (QPU) and generates an entangled state between qubits with indices 0 and 1. The chip was designed and fabricated at Rigetti Computing’s Fab-1 and is an intermediate step towards full 3D integration in upcoming designs. The latest Forest 1.2 development environment includes customizable noise models in the Quantum Virtual Machine that allow you to simulate arbitrary quantum channels to study the robustness of algorithms to processor noise, automatic compilation to the 19Q gate set and qubit layout and an improved API for moving between synchronous and asynchronous Forest calls. In a seasonal story, Actility is using LoRaWAN wide area technology to connect up reindeer in Lapland. Herders travel up to 40km each day following and protecting the animals throughout the bleak Lapland winter and greener summer. GPS trackers around the necks of the animals connect to the long-range network to track the semi-wild herds that can roam free in herding districts covering one third of Finland. The reindeer are only gathered together by the herders twice a year, providing the sole opportunity for the trackers to be fitted or recharged. Up to 300,000 animals in the summer being managed by the herders, generating around €25m a year from meat, fur and antler products. Up to 10% of the reindeer are lost, both to the teeth, beaks and claws of hungry wolverine, lynx, bears golden eagles and wolves, and even trucks and freight trains – only last month over 100 reindeer were killed by a train in a single incident in Norway. The Finnish Reindeer Herders Association is working with Finnish communications provider Digita using Actility gateways on the company’s existing television masts to achieve the long range coverage. The pilot study began in June, and this September, at the bi-annual reindeer roundup, the herders were able to put few tens of trackers on selected animals. Because the reindeer move in herds, putting trackers on “alpha female” reindeer was the best way of locating the herd as whole. The trackers use GPS satellite signals to determine their location, but communicate that location to Digita’s gateways over low power LoRaWAN. This maximizes the battery life, and reduces costs as there is no need for cellular subscriptions for every device. 2017 has been a boom year for the embedded market, with the Internet of Things driving tremendous interest and activity and the Embedded Blog topping 1200 posts and 600,000 page views. On-chip neural network speech recognition on ultra-low power DSPS. FEV in the US has worked with Lightspeed Technologies to develop an automotive O/E (Optical and Electronic) system architecture technology using low cost, lightweight plastic fibre. This will significantly reduce weight, the number of vehicle parts, and assembly costs, while improving system efficiency. Lightspeed has created an all fiber optic, zero software system for vehicles that replaces copper wiring and other heavy components, while increasing the integration level. The technology has already been proven in aircraft and military applications and provides additional security by making the system immune to EMI (electromagnetic interference), RFI (radio frequency interference) and EMP (electromagnetic pulse). The system requires zero software, instead replacing the operating system and application software with real-time, proprietary deterministic algorithms and look up tables. The functions are embedded into a proprietary Systems-on-a-Chip, increasing system reliability, MTBF and speed, while decreasing weight and power requirements. Using its extensive knowledge of automotive hardware / software development and integration, calibration, deep electronics and vehicle systems expertise, FEV designs the vehicle architecture and components then integrates the system into the vehicle, optimizing the system's capabilities for an automotive application. A demonstrator vehicle will be the next step in the project's development. Vayyar Imaging has raised $45m to continue the development of its wireless 3D imaging sensor technology. The Israeli company has so far raised $79m for the sensor which create a 3D image of everything happening in realtime without the use of a camera but using ultrawideband (UWB) radio signals instead. These sensors can see through solid objects, map large areas and can be used in privacy-sensitive locations where optics cannot, with applications in smart home, automotive, retail, robotics, medical, construction, agriculture and more. Highlighting the growth of the Internet of Things (IoT), public low power wide area networks (LPWAN) connections are anticipated to reach over 1 billion by 2021, according to a new report from IHS Markit. This represents a 206 percent compound annual growth rate (CAGR) from 2014 to 2021, spurred by the IoT. It also sees LoRaWAN technology dominating the Sigfox network. The IHS Markit Low Power Wide Area Interim Market Update Report - 2017 tracks key developments in the LPWA market over the past year, including the growth prospects for narrowband IoT (NB-IoT), long range wide area network (LoRaWAN), Long Term Evolution Cat-M1 (LTE-M) and Sigfox. According to the report, the NB-IoT market received a tremendous boost in June 2017 when the Chinese Ministry of Industry and Information Technology (MIIT) issued an NB-IoT policy framework. Creating a cellular IoT forum to encourage ecosystem development, and permitting the use of global system for mobile communications (GSM) and frequency-division duplex (FDD) spectrum for NB-IoT services. In the market for LPWA in unlicensed spectrum, LoRaWAN achieved higher-than-expected growth during 2017. IHS Markit projects that LoRaWAN “public” connections — those offered as a service by LoRaWAN network operators — will rise to nearly 300 million by 2021. STMicroelectronics has introduced a matched balun for its S2-LP 868-927MHz low-power radio transceiver to help engineers save board space and minimise RF-circuit designs in IoT sensors, smart meters, alarms, remotes, building automation, and industrial controls. The 3.26mm2 BALF-SPI2-01D3 integrates all the impedance-matching and filtering components needed to connect an antenna to the S2-LP radio, replacing a conventional network of 16 discrete capacitors and inductors that can occupy up to 100mm2 of board real-estate -- a footprint reduction of more than 96%. In addition to saving space, circuit design is greatly simplified, with no need to select component values or tackle exacting layout challenges. Fully optimised for the S2-LP, the balun comes with placement and connection recommendations that are tested and verified and can be directly replicated to maximise RF performance. The BALF-SPI2-01D3 is the latest in ST’s family of integrated baluns. There are now 16 devices, in package sizes down to 0.8mm2 and just 0.56mm high after reflow, for use with ST’s sub-1GHz or Bluetooth® low energy 2.4GHz radios, as well as with various transceivers from other manufacturers. The Integrated Passive Device (IPD) technology on non-conductive glass-substrate ensures low RF signal losses, with low amplitude and phase imbalances, ultimately resulting in better RF-subsystem performance and longer operating life for battery-powered devices. The BALF-SPI2-01D3 is in production now, in a 6-bump 2.1mm x 1.55mm chip-scale package, priced from $0.176 for orders of 500 units. Intel has launched the industry’s first field programmable gate array (FPGA) with integrated High Bandwidth Memory DRAM (HBM2) that gives ten times the bandwidth of today's DDR memories. As a result the Stratix 10 MX FPGA is aimed at high-performance computing (HPC), data centres, network functions virtualization (NFV), and broadcast applications that require hardware accelerators to speed-up mass data movements and stream data pipeline frameworks. HBM2 was accepted by JEDEC in January 2016 and supports two 128-bit channels per die for a total of 8 channels and a width of 1024 bits in total. It specifies up to eight dies per stack and doubles pin transfer rates up to 2GT/s. This provides 256 GB/s memory bandwidth per package from up to 8 GB per package. In HPC environments, the ability to compress and decompress data before or after mass data movements is paramount. HBM2-based FPGAs can compress and accelerate larger data movements compared with stand-alone FPGAs. With High Performance Data Analytics (HPDA) environments, streaming data pipeline frameworks like Apache Kafka and Apache Spark Streaming require real-time hardware acceleration. Intel Stratix 10 MX FPGAs can simultaneously read/write data and encrypt/decrypt data in real-time without burdening the host CPU resources. The Intel Stratix 10 MX FPGA family provides a maximum memory bandwidth of 512Gbyte/s with the integrated HBM2. 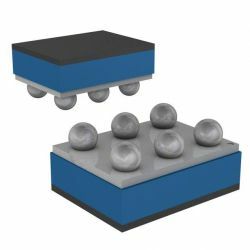 HBM2 vertically stacks DRAM layers using silicon via (TSV) technology that sit on a base layer that connects to the FPGA using high density micro bumps. 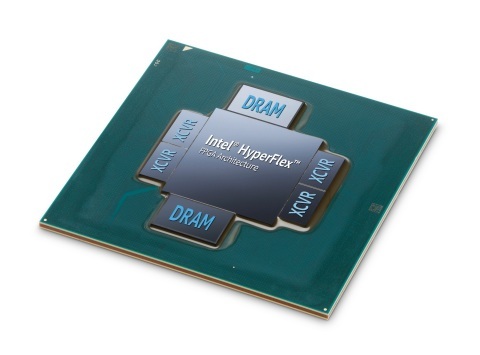 This uses Intel’s Embedded Multi-Die Interconnect Bridge (EMIB) that speeds communication between FPGA fabric and the DRAM to link the HBM2 die to the monolithic FPGA fabric, solving the memory bandwidth bottleneck in a power-efficient manner. Intel is shipping several Intel Stratix 10 FPGA family variants, including the Intel Stratix 10 GX FPGAs (with 28G transceivers) and the Intel Stratix 10 SX FPGAs (with embedded quad-core ARM processor). The Intel Stratix 10 FPGA family is built on Intel’s 14 nm FinFET manufacturing process and incorporates state-of-the-art packaging technology, including EMIB interconnect. A third generation, HBM3, has been specified but is not expected to come to market until 2020. A recent webinar from ARM and the The Things Network generated an extensive set of questions and answers about using LoRa and LoRaWAN wide area networks for the Internet of Things. More than 700 people joined the webinar, and the recording is available at the bottom of this edited Q&A. This was triggered by the development of the Mbed LoRaWAN stack - the pull request was opened on November 27th, and should be released in Mbed OS 5.8 - around February 2018. The L-TEK FF1705, which was used in the webinar, will be available soon from L-TEK. Other development boards you can use (that are available today) are the Multi-Tech mDot EVK and the Multi-Tech xDot. In addition, you can use any Mbed OS 5 compatible development board together with the SX1272 or SX1276 shield. The L-TEK FF1705 hardware design is open source. The design files are in the Mbed HDK. You can get LoRa modules (MCU + LoRa radio) from around $11 from various vendors (if you buy a few hundred). The SX1272 (just the radio) is selling for $3.90 on DigiKey for 3,000 or more units. Gateway prices range from $100 to $2,500, depending on your needs. A cheap (and readily available) way to get started is using an IMST iC880A concentrator board ($140) and a Raspberry Pi. If you need IP67 certification, GPS, cellular backhaul, etc. the price goes up. However prices are already coming down. Three years ago the cheapest LoRa gateway was $1,500. A year ago it was $500, and now we're down to less than $100 for indoor gateways. We expect new integrated gateways at less than $50 to become more available in the coming year. All Mbed libraries for LoRa (regardless of vendor) support both ABP and OTA activation. We strongly recommend OTA, as it's more secure. ARM and The Things Network have been working on a multicast firmware update solution over LoRaWAN. This requires standardization of a few new specifications in the LoRa alliance, which we expect to happen in Q1 2018. An article (and a video) describing the approach is here, and reference firmware is here (based on Mbed OS 5 running on an Arm Cortex-M3 with 32K RAM). The LoRa radio IP has been licensed to ST and Microchip. We expect them to come out with integrated SoCs at some point. A device needs different radios as you move from the EU to the USA - 868 MHz radio for EU, 915 MHz for US. Theoretically someone could make a radio that spans both the 868 and 915 MHz bands, but dual FCC and EC certification are incompatible for LoRa radios. The highest throughput in an EU868 plan is 11 kbps (SF7 125 kHz), and in a US915 plan 12.5 kbps (SF8 500 kHz). We recommend not using 3G for LoRaWAN backhaul, as the default RX1 window occurs one second after a TX window, and 3G latency can make you miss this window. For development purposes, a gateway with good availability is the MultiTech Conduit with a 915 or 868 mCard. The Things Gateway will ship globally from January 2018 at a lower price. For deployment, there are numerous options: for large scale indoor deployments, besides the Conduit and The Things Gateway, the Kerlink iFemtocell, Tektelic Pico, for outdoor also MultiTech’s, Kerlink’s, Gemtek’s, Tektelic’s, Cisco’s, and so on. Often, you can wire an outdoor antenna to an indoor gateway too. But there are limitations on the maximum antenna gain in many locations. How fast can a LoRaWAN device move and still be able to communicate with a gateway? For the PHY layer, this depends on the spread factor that you use. If the coherence time of the LoRa signal is smaller than the symbol time of the LoRa signal, then you'll see high packet loss. According to this paper this happens at 40 km/h for SF12, and at 160 km/h for SF7. On the MAC layer you can run into issues when using Adaptive Data Rating (ADR) with moving devices. The network cannot reliably detect a good data rate for the device while it's on the move (as this is not re-negotiated in every message). It’s better to use a custom algorithm for changing the data rate based on the RSSI and SNR of received messages on the end-device. What is the maximum number of devices in a real scenario. For example, if I have a single gateway, what would be the maximum number of devices that can send a small packet five times an hour? It's hard to determine this as it's very dependent on the data rates that the devices use. A typical LoRa gateway can demodulate eight messages at the same time (on eight different channels). If we assume a one second air time per message (which is probably higher than you'd see in real life), perfect timing distribution, and perfect channel distribution, we’ll see (3,600 * 8 = 28,800) messages an hour, which is 5,760 devices. Having a higher data rate (lower spreading factor) helps tremendously with cell capacity. Air time for a message on SF7 is under 100 ms. Adaptive Data Rating (ADR) helps here, as it can optimize network load by switching devices to the optimal spreading factor. There's nothing that ties LoRa modulation specifically to the sub-GHz spectrum, so we’re very interested to see how this will work in 2.4 GHz. The big advantage of 2.4 GHz over sub-GHz is that it works everywhere, and there's no regional band differences. In addition, maximum TX power is higher. The downside is that path loss in 2.4 GHz is higher (6-10 dBM over 900 MHz per kilometer), and the band is a lot busier. What's nice about the SX1280 chip is BLE PHY compatibility, so you can have a single chip handling both BLE and LoRa. That's pretty cool. Will have to see how it holds up, but for smart city deployments under 1 km this could be very nice. What about 433MHz? LoRa as a modulation is very powerful and does not require usage in the 800-900 bands. Indeed, there are regional parameters defined for the 433 MHz band, but so far there hasn’t been much market demand. 433 MHz would allow for even better range (perhaps 1.5-2 times as much as 915 MHz), due to lower path loss, but this will come at the expense of lower data rates. Do software-defined radios have a (potential) role in LoRA? Yes, and there have been demonstrations of this already. What makes it challenging are the current price and intellectual property rights.The Things Conference will cover software-defined radio for LoRa. LoRa is really the physical layer, and there are different messaging protocols that exist on top of LoRa. LoRaWAN is the standard messaging protocol defined by the LoRa Alliance. Gateways are simply LoRa gateways: the LoRaWAN stack is implemented in the end device and in the network server; gateways are transparent and only translate LoRa traffic to IP traffic and vice-versa. We recommend using LoRaWAN because there is a wide variety of devices and network servers available, and it’s a feature rich protocol with a built-in MAC layer and security mechanisms. The main differences are security enhancements, the introduction of a Join Server, and the formalization of Class B devices. If you want more information on how these work, Johan hosted a webinar on LoRaWAN 1.1; the video is here. The LoRaWAN 1.1 specification just came out, and we expect device and network support to become available in the first quarter of 2018. The Things Network Stack V3 will support LoRaWAN 1.1 and will be fully open source from 2018 Q1. LoRaWAN uses AES 128-bit keys for message integrity code (CMAC) and encryption of application payload (ECB). There are two session keys in LoRaWAN 1.0.x and four in LoRaWAN 1.1, which are issued by a trusted third party Join Server (optional). The network server only works with the network session keys and cannot see application payload nor derive security keys when working with a trusted third party Join Server. See the LoRaWAN 1.1 specification and back-end interfaces document. Through these keys, LoRaWAN provides message level integrity and payload encryption with AES 128-bit keys on two levels: the network and the application level. LoRaWAN 1.0.x had some security vulnerabilities that have been addressed with LoRaWAN 1.1. See more information about security in LoRaWAN here. The Application Key is a Pre-Shared Key (PSK) that needs to be kept secret, as it's used to do the initial authentication with the network (in return for session keys). Typically you'd inject the keys in a factory or during distribution in a trusted domain of control or in a secure element. But for development you can just put them in firmware, which is what we did in the demo. The recommended way to store keys is with a secure element in the end device. Various device makers in the LoRa Alliance are currently working on this, including Gemalto and ST. Since security in LoRaWAN uses symmetric root keys, we recommend using a trusted third party Join Server as well. The message integrity code (MIC) is calculated through AES 128-bit CMAC (RFC4493). This MIC is appended to each message and both the end device and the network server verify message integrity using the network session key. See the LoRaWAN specification for more information. LoRaWAN 1.1 uses JoinEUI instead of AppEUI. The AppEUI was typically issued by the device maker, while the JoinEUI will be issued by the Join Server,. Ideally, the device maker provisions end devices securely on a trusted third party Join Server; the JoinEUI typically identifies a batch of end devices. The owner of the end devices then configures the network server to use. So, when a network server receives a join request from a device, it contacts the Join Server based on the JoinEUI. The Join Server sends session keys only to the network server that is configured by the owner of the devices. It's definitely a great step in the right direction. BLE 5 can give a 12 dB link budget improvement over BLE 4, which is a big improvement; in free space it quadruples the distance! This makes BLE 5 a lot more suitable for smart home and smart office solutions where you need more range, and it puts it close to the range of 802.15.4 technologies (like 6LoWPAN and Zigbee). In addition, adding mesh networking to BLE is great, especially with everyone's phone being a potential edge router, which will give extensive coverage. However, LoRa still offers a much better link budget (maximum 151 dBm for LoRa vs. 108 dBm for BLE 5), so for anything that needs to span more than an office, LoRa is still a better choice. But it's great to see radio technology moving more to long range; better choice choice between radio technologies is good for innovation. Both have their advantages. The main advantage of LoRaWAN is that anyone can build a network without requiring permission from Sigfox. A downside is that you can only source the radios from Semtech, whereas there are many Sigfox radio vendors. Sigfox radios are also slightly cheaper at the moment. Technically, LoRaWAN has a better link budget from gateway to device, as it was built for two-way communications from the start. MQTT is the developer's primary method of sending and receiving messages on the network. We also support HTTP integration, which is very convenient for web developers. There is also RESTful storage as well as numerous integrations with third party IoT platforms. Yes, The Things Network works with devices and gateways on any frequency plan, and all data can be grouped together regardless of physical location. The routing regions of The Things Network are also interconnected, so that it’s one big global LoRaWAN network. The Things Network is provided free of charge and there are no usage restrictions. There is a Fair Access Policy to keep LoRaWAN in general scalable. As it is a community network, there is no service level agreement (SLA) available, but we do provide that for private networks with the same technology through The Things Industries. The Things Network can be used free of charge. Private networks through The Things Industries come at about 150 euro a month for 1,000 devices. Arm Mbed OS is provided free of charge under the Apache 2.0 license, even if you ship 1,000,000 devices. The webinar is here, with Jan Jongboom and Johan Stokking answering the questions. The slides are available here, and the recording is here. Jan Jongboom is Developer Evangelist IoT at Arm, Johan Stokking is co-founder of The Things Network. They're both active in the LoRa alliance.